It has been a bleak year for Indian shuttlers on the international stage, with only a handful of notable results to choose from. To add to this, the performance of the men’s and the women’s team at the ongoing Asian Games didn’t match up to the expectations as they were ousted in the quarter-finals round. With the singles event starting on Thursday, the badminton contingent will now have their sights set on medals. 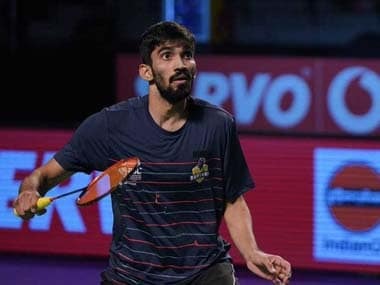 The women's singles shuttlers were handed easy draws, while men's singles players Kidambi Srikanth and HS Prannoy received a bye in their opening round matches. PV Sindhu is tipped as the favourite to bag a medal in the women’s section, despite her narrow 21-10, 12-21, 23-21 win over World No 52 Vietnamese Vu Thi Trang on Thursday . Srikanth and Prannoy meanwhile enter the quadrennial event as underdogs. “Looking at the recent performances of the Indian shuttlers, Srikanth and Prannoy have an outside chance. They are not the favourites in the event,” 2014 Commonwealth Games gold medallist Parupalli Kashyap told Firstpost. However, Kashyap feels that having an outside chance could also ease off some pressure. “It could work in their favour too as they have nothing to lose. They’ll be free from the burden of expectations." So far in the season, Srikanth has only managed to show his mettle at the Commonwealth Games in Gold Coast, where he clinched silver. The ankle injury he suffered in November has clearly put brakes to his progress in the singles circuit. The 25-year-old shuttler, who won four Superseries titles last year, faces Wong Wing Ki Vincent of Hong Kong in the second round in Jakarta. Prannoy has been underperforming this year too. The Kunnur-born shuttler was left frustrated with a foot corn in January, where he couldn’t recover properly due to doctor's negligence that resulted in his unsuccessful treatment. He couldn’t play for nearly two months, before finally making a comeback at the All England Open in March. A semi-final appearance at the Badminton Asia Championships is Prannoy’s only achievement thus far this season. With reigning world champion Kento Momota and two-time world champion Chen Long in his half, it is not going to be a smooth ride for sure. “Srikanth and Prannoy have reached quarters consistently at big events. They’ve reached the level where they can take on all the top players. I know for a fact that they do well in Indonesia’s fast courts. The shuttle travels faster than usual. So, I'd say these are the few favourable conditions for us,” said Kashyap, who is recovering from a back injury he suffered at the Singapore Open. Despite missing out on keeping a track of Srikanth and Prannoy’s preparation for Asiad due to injuries, Kashyap said that the current form hardly matters as the competition is wide open at the continental event. “Asian Games is a different ballgame. It’s a pressure event and anyone can beat anyone. Doesn’t matter if you're sharp before the event, just go there and rely on your skill set. The form doesn’t matter here. If the player realises his ability that he has beaten these top players in tournaments," he said. Japan's Momota has taken the badminton world by storm after coming back from a one-year suspension for gambling at a casino, which is illegal in Japan. The 23-year-old Momota became the first Japanese men's shuttler to become the world champion. The left-handed ace claimed the Badminton Asia Championships gold by beating Chen Long in the final and was crowned as champion at the Indonesia Open earlier this year. Momota is in red-hot form and is the favourite to win the singles title in Jakarta but Kashyap believes that the Indian shuttlers shouldn't write Shi Yuqi and Chen off. "Momota is already a step ahead of others and even Chen is coming back to form. Shi has been consistent throughout the year. If they’re avoiding Momota in the quarter-finals, then we have a chance of winning a medal," he said. “He (Momota) is defending quickly and has been able to get into the rhythm. You have to play slower than him to beat him, which I believe is not possible in Indonesia’s fast courts. The only chance other shuttlers have is to try and finish the shots before Kento could even react,” the 31-year-old explained. 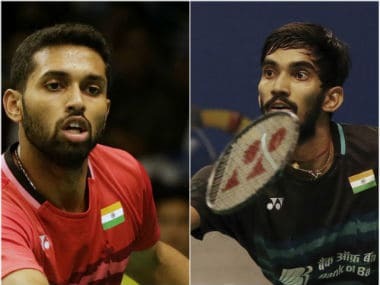 Prannoy is slotted against Kantaphon Wangcharoen in the second round but faces a stiff challenge from fourth seed Chou Tien Chen in the quarter-finals before encountering either Chen or Momota in the semi-finals.“Prannoy has struggled a bit this year but he has beaten Chen twice last year. I have beaten Chen Long on that court. The only threat he has is Momota, who has been untouchable so far. He’s had some nerves, but once he gets going, it’s difficult to stop. Not many in the circuit have to beat the Japanese," he concluded.